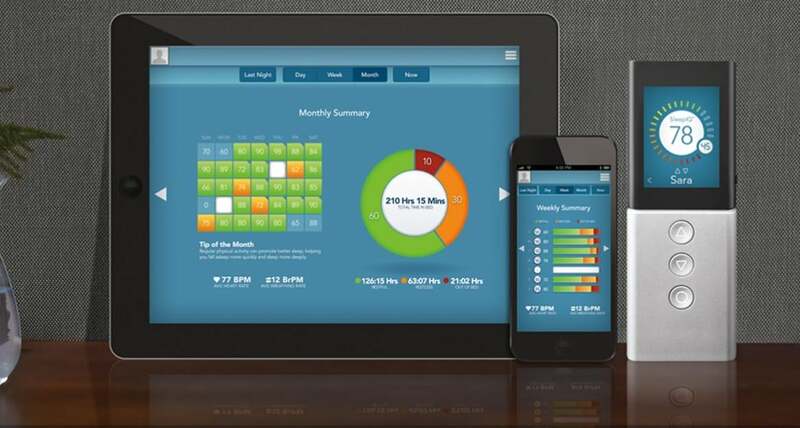 Home » Lifestyle » Campaigns » Sleep Number i8 Bed Review – Is Sleep Number Right for You? Sleep Number i8 Bed Review – Is Sleep Number Right for You? Over the summer I partnered with Sleep Number and helped bring information about Sleep Number Mattresses to twitter, including a fun mattress giveaway. Now, several months later, I am back to share my personal experience with the Sleep Number i8 bed we are currently sleeping on. Now over the years throughout our marriage, we have had many mattresses. 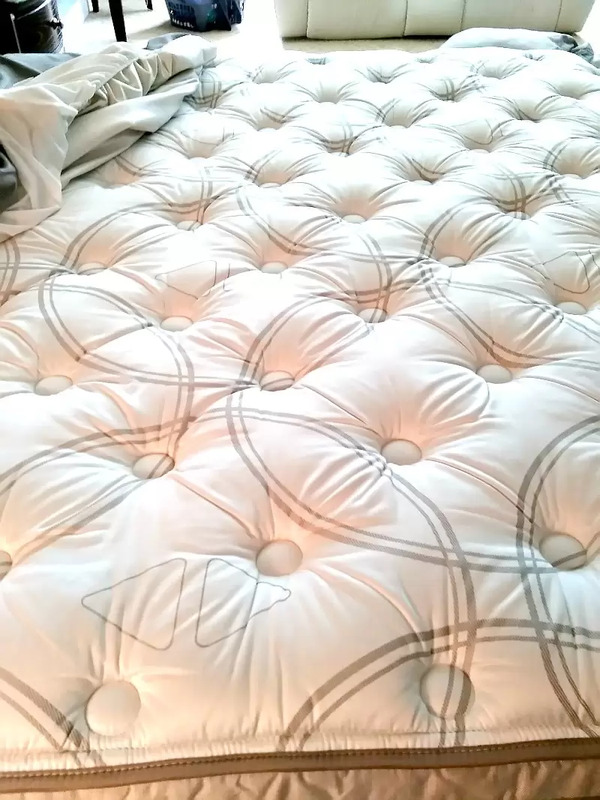 From an $800 Serta pillowtop to a $4200 Temperpedic and even a $7000 iComfort Revolution (Savant), there have been pluses and minuses of each brand. And while my husband and I each have a preference that changes sometimes from night to night. 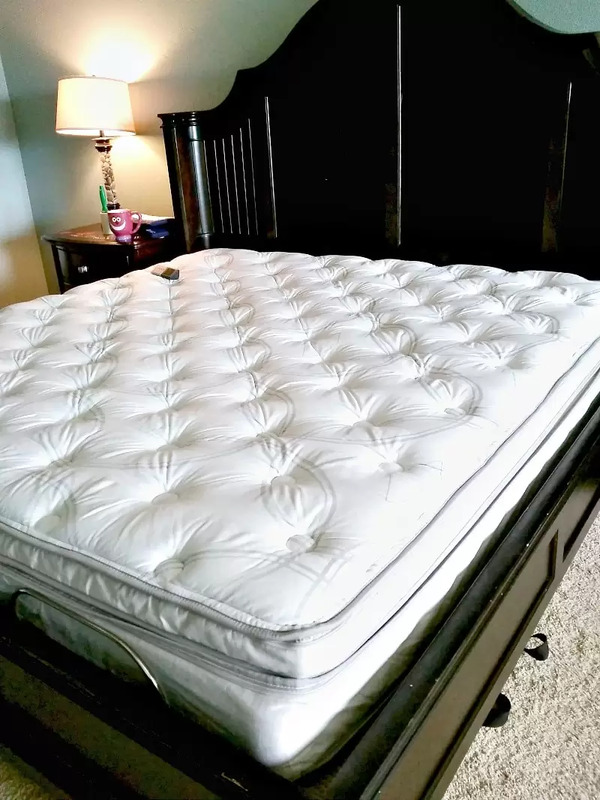 The years we had the Tempur-Pedic (Which my daughter has in her room) were some of the most miserable sleep years of my life while my husband loved the firmness. And that is the way it goes- couples do not always agree on sleep which makes it super hard to get a good nights sleep. Neither person should have to sacrifice to get to sleep at night and Sleep Number is a unique mattress in that they don’t require either party to sacrifice the softness or firmness to get to sleep. Is Sleep Number Right for You? Mattresses are one of the largest purchases a household can make. 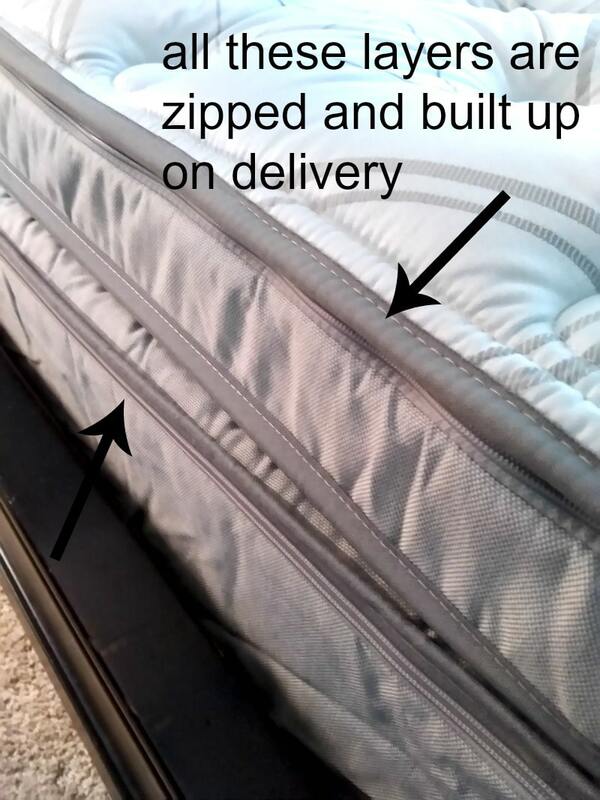 Understand the TYPE of mattress you are purchasing: Is it coils? Memory foam? Air? Depending on your personal needs, there are many choices in the mattress you can choose. The first thing I did was go into our local Sleep Number store. I have not been in there in years and the people working in our Mobile, Al store were very friendly and knowledgeable. They explained what made the i8 special and tried to find my “number.” Keep in mind when you go into a store you are likely not tired and testing out the mattress is very limited. In the store I was most comfortable at setting 25, however, at home, my setting is actually between a 65-75. At the time of purchase, I was told that someone from delivery would call me to set up a date. I assumed it would be in the next few days that a date would be set. They actually didn’t even call for several weeks and then set up a date for a few weeks from that period. My only feedback here is that I would have been more comfortable with them calling quicker to set up a date as I started to wonder if they forgot about me. Even if the date for delivery was far out, it would have been nice to not be waiting that long for the first call. Delivery was pretty good. The guys that delivered were polite and respectful. What I didn’t anticipate was that they would be building the bed in my home. That’s right…because its air, its built in your home. The bed parts all came in in boxes and they assembled it layer by layer right in my bedroom. It was actually really fascinating to watch the process. In short, SleepIQ tracks your sleep and sends it online so you can monitor how well you slept. The great thing about that is the knowledge of your sleep, whether great or restless, can assist you in finding the right Sleep Number number for the best sleep. The problem with SleepIQ my home is that even after TWO HOURS of set up, Sleep Number delivery could not get it set up. Even after calling into their customer service, for whatever reason, the bed would not connect to the modem. They had us reset it, use a USB port download to compute rand drag files (incidentally the average person would not know how to do all that and I was able to do it, but in general I thought it would be weird to let someone on your computer), take a band off our dual band modem (again, not something the average person would know how to do), we tried tons of things. The main issue I had with all this was at the end I was told that only specific modems can work with SleepIQ. I do not want to be required to buy an additional modem to get the bed to work. My modem just over a year old and is a high-grade modem as I work from home. Our devices and other items (even our fridge) connected easily but the bed would not. After two hours of the delivery guy here trying to connect it, I finally told him not to worry about it. Since I was with him while trying to set it up, I have tried to do it again myself a few times to no avail. I wish I could give you feedback on this but the only feedback I can give you is that it wouldn’t set up properly. Sleep Number has a 25 year limited warranty. You can read all that it entails and coverage information in detail by going here. 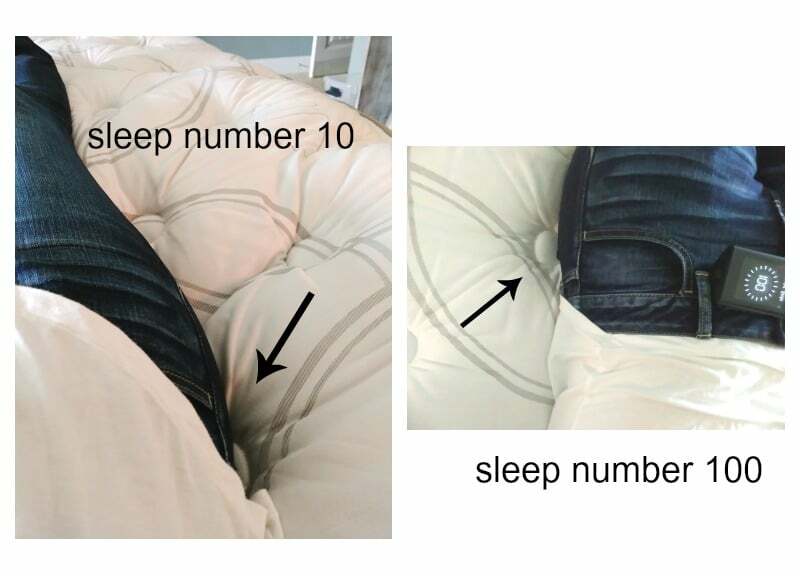 Sleep Number also has adjustable bases. I personally love an adjustable base because the bed is used often for so much more than sleeping. We like to do work, homework and watch TV, so it’s nice to sit up comfortably. They can also help with snoring and sinus issues. My family does have an adjustable base and you can read more about them here. We have had the bed set up about a month. I have tested out a few different numbers on the bed and seem to be most comfortable on a higher setting than I originally anticipated. We are coming from an iComfort Savant/Revolution and I can tell you that my back has had fewer pressure points and cracks since the change to Sleep Number. Overall I feel like, as of right now, I am getting quality sleep. My husband is still undecided. I love the fact that the bed has a dual chamber as we often do not agree on a bed firmness, so this gives us each a chance to be responsible for our own nights sleep. The air increase and decrease can be a bit noisy when you change your setting, so it’s best to do that NOT in the middle of the night. While I am a light sleeper and any movement my spouse makes will wake me up, I can’t feel him move in the bed as much with this mattress. Unfortunately it’s been too short of a time to give you a solid answer so I won’t do either one of us a disservice by laying on the praise, but I’ll be back in December to update after 6 months on the bed how we are both feeling. To learn more about Sleep Number please visit them at Sleep Number here or on FB here. You covered some great points. I am in the market for a new bed and thw entire process can be overwhelming. Thank you for such a thorough review.